2 x 65 Watt RMS at 8 ohms both channels driven from 20Hz – 20 kHz with less than 0.1 distortion. Kenwood Corporation was the brainchild of William Kasuga a first generation Japanese American that saw an opportunity to market Trio Corporation products in America products under a new brand name. 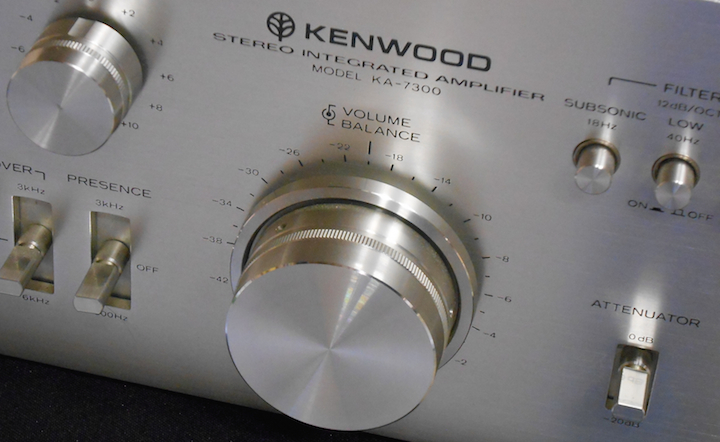 In my experience Kenwood’s 1970s gear demonstrates tremendous build quality, solid performance and stunning designs, and the KA-7300 ticks all three of these boxes. It’s hard to believe that the features contained in this amplifier would appear in a consumer electronics product. It certainly wouldn’t happen today but in 1975 consumer audio gear was in a different league, back then it was ‘all about the sound….man’. The KA-7300 Power Supply: Separate transformers for each channel. Firstly lets start at the foundation of this beastie, it’s power supply. Dual Power was first introduced to the market by Harman Kardon and by the mid-70s it had really caught on, mostly in the high-end components. But different brands implemented it differently. Sansui, Marantz and Pioneer settled for a single large transformer which utilised both the negative and the positive rails to power independent amplifiers. However in this case Kenwood had followed Harman Kardon’s example and integrated two independent transformers with their own rectifiers and filter capacitors to power each channel. Essentially this amplifier was two ‘mono-block’ amplifiers contained in the one cabinet. Only two amplifiers from Kenwood’s range in this period featured this dual power setup, the KA-7300 and the other was their top-of-the-line ‘Model 600′. Interestingly the dual-power supply in their high-end Monster Receiver for 1977, the KR-9600, featured a dual power supply with a single transformer. 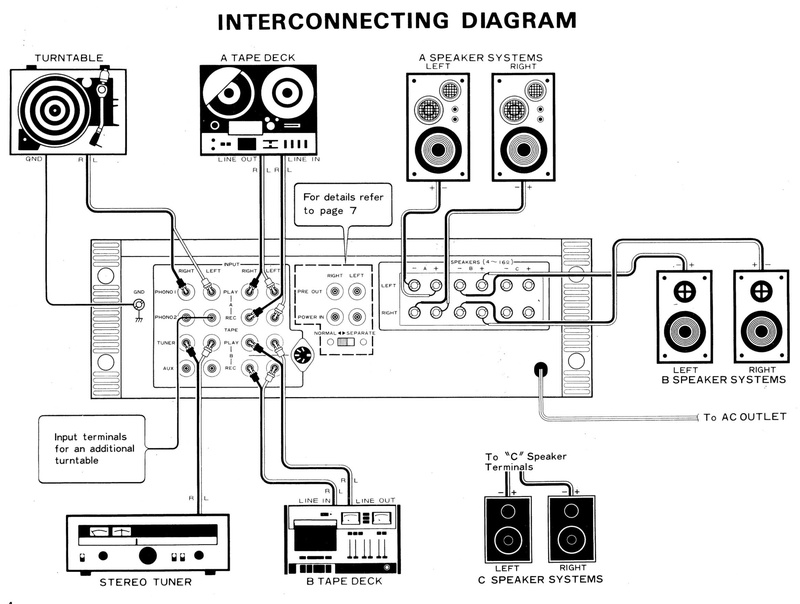 Kenwood’s dual power supply was marketed as a solution to the problem of ‘dynamic cross talk’ where the stereo stage (or image) could be disturbed by power struggles between the left and right channels – defeating the whole purpose of stereo. With each amplifier channel drawing upon a completely separate reservoir of energy this problem is overcome. 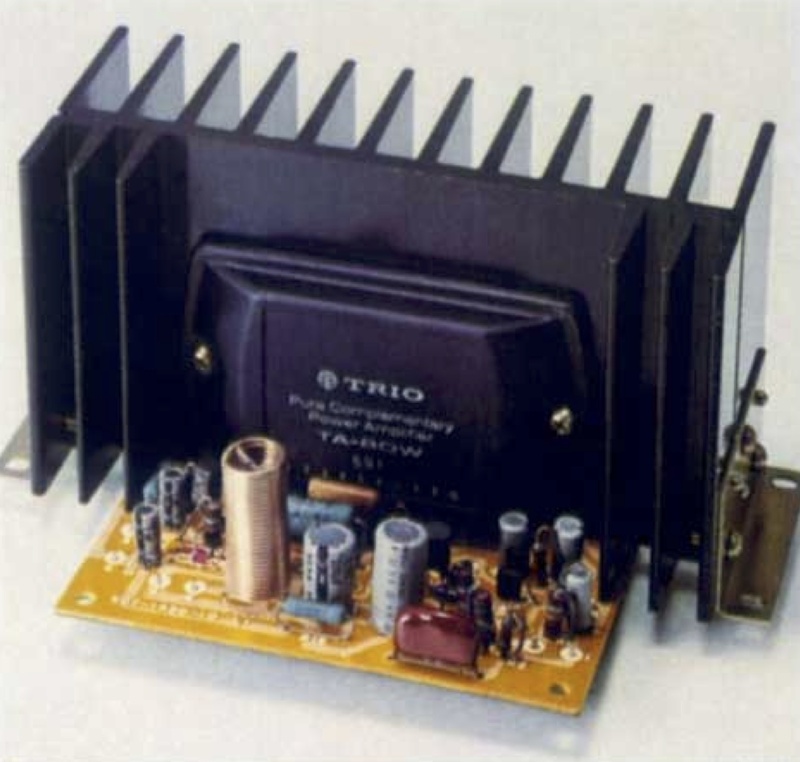 Trio’s Darlington Power Pack with large heatsink. All stages of this amplifier are Direct Coupled, from the input section to the driver and power output stages. This minimises phase distortion, the signal-to-noise ratio is improved and signal attenuation is eliminated resulting in a exceptionally high level of sound quality. The output stage consists of Kenwood’s ‘Darlington Power Modules’ that provides an improved amplification factor, wider frequency response, lower distortion and increased operating life through better heat dissipation. Negative feed back bass and treble tone controls with turnover frequency adjustment. 32 Position attenuator type volume control. Dubbing facilities for 2 tape recorders. Double protection and delay start circuits. Overall this is a superb performing and very musical amplifier that still possesses that warm timbre and with plenty of power. I can happily listen to this amplifier for many hours without fatigue. Visually this item is stunning, as is all the Kenwood components from this product line, and is one of my personal favourites. A point to note is that these items are still very serviceable with parts still available. 1. With no crosstalk, and in plain english, the ka-7300 stereo separation is astonishing. 2. My favorite feature though, also due to the duel power supplies, is that there are actually 2 volume controls as well. One Left. One Right ( kenwood just calls one of them “balance”). What this means is that rather than robbing the power and sound characteristics from one channel to feed the other, when setting the balance, you actually set one channel the way it sounds best to you, and then independently set the other the same way … only at a different volume. After doing that, the main volume dial adjusts both channels together, like any other amp. This has always been a sore spot for me with almost any other company’s gear … even those with duel power sources. If there’s only a simple side-to-side balance control, there’s always a compromise. I bought mine USED while in college in 1980. My daughter is now enjoying it during her college years!